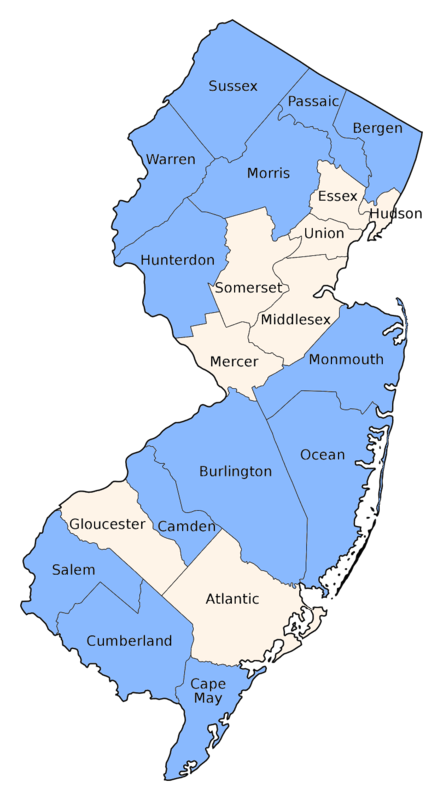 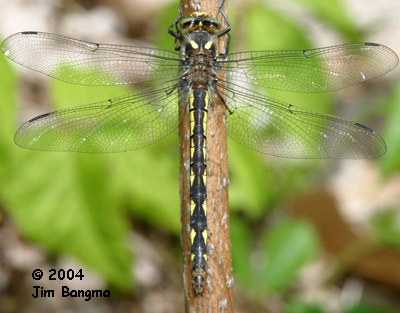 Has been recorded in scattered locations around the state which may indicate spotty distribution or a lack of complete censusing. 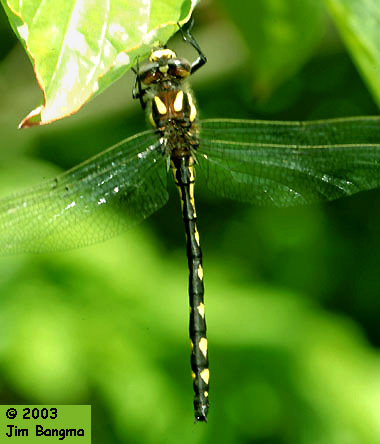 Small streams, seeps and trickles, usually larger than Tiger or Arrowhead Spiketail habitat but absent from the larger streams and small rivers where Twin-spotted is found. 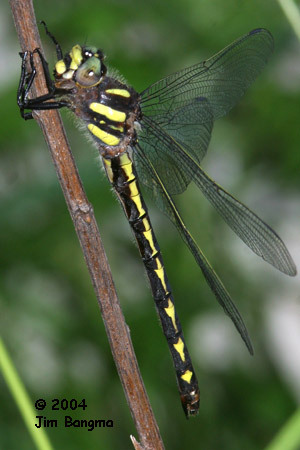 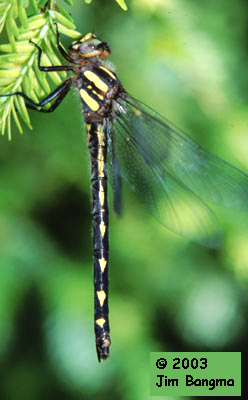 Black or dark brown, with prominent yellow thoracic stripes and large arrow or delta shaped yellow lateral spots on the abdomen. 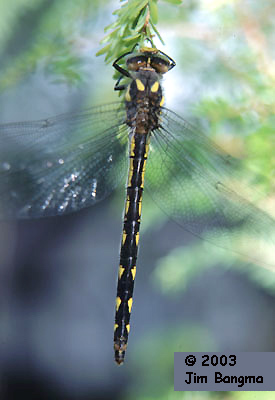 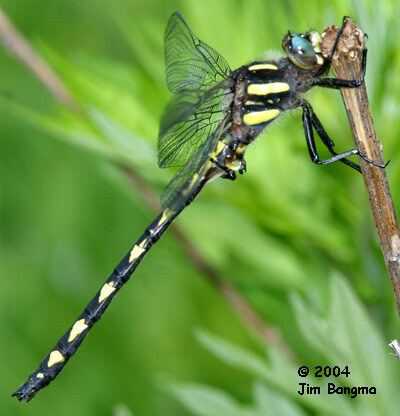 Twin-spotted Spiketail also has pairs of spots, but they are smaller and located dorsally, nearly touching. 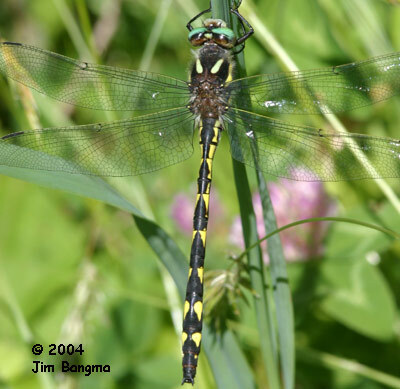 Arrowhead Spiketail has a single row of arrow shaped dorsal spots. 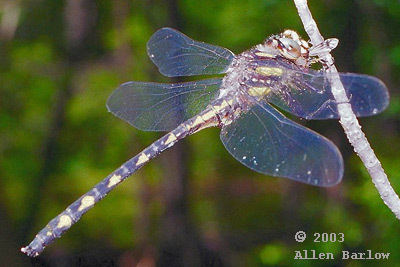 River Cruisers have a single lateral thoracic stripe and different behavior.